As we know, Oprah Winfrey has gone through a great deal in her life and her gratitude continues to prevail. And who better than her to talk about well-being and health? We've seen her struggle overweight, depression and thyroid problems throughout her life. It shows us, however, that it is better than ever. 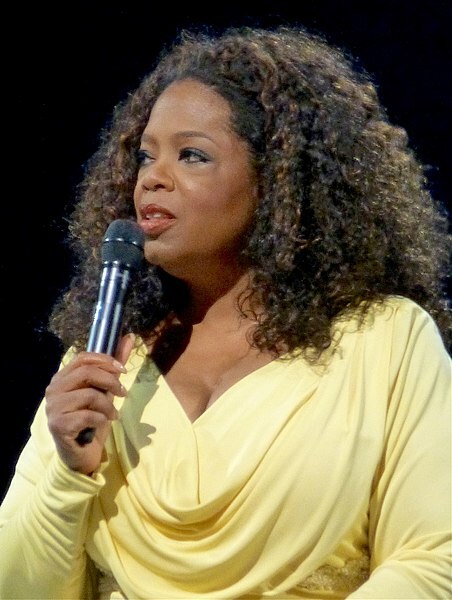 It is difficult to remain sad, Oprah Winfrey says, by focusing instead on what you got, and it is difficult to stay sad. Here are the 5 golden rules and philosophies that helped Oprah Winfrey in leading a better life. "I can eat whatever I want; I just can not eat it at the same time, "Oprah said during an interview." That's the whole philosophy of life you can have it all, you just can not have it all at the same time." 2. MAKE YOUR OWN BEAUTY STANDARDS. "For me, the days have gone when I wanted to be thin to adapt to anything else that was not my best body and my best life," she commented after losing weight with Weight Watchers, of which she is a spokesperson, investor. "I give myself a good dose of quiet time at least one per day," she commented in a post on his website dedicated to the power of Transcendental Meditation. "20 minutes in the morning, 20 in the afternoon". 4. BE GRATEFUL FROM THE MOMENT YOU GET UP. "I've never set an alarm, I do not believe in them," she said. "They are ... alarming!" I put the number in my mind and I wake up before that, usually between 6:02 and 6:20, because the dogs are trained to leave at that time My first thought in the morning is: "Oh, I'm alive." Thank you! ' "
5. LIVE IN THE PRESENT. "Breathe in. Let it go, and remember that this moment is the only one that exists with certainty," she said, speaking about the secrets of success and happiness.